Our kindergarten covers the Merlin Champagne Town Clubhouse. In the basement we have a P.E. room with a climbing wall. On the first floor we have a reception area, offices, the nurse’s room, the children’s library and our art studio. 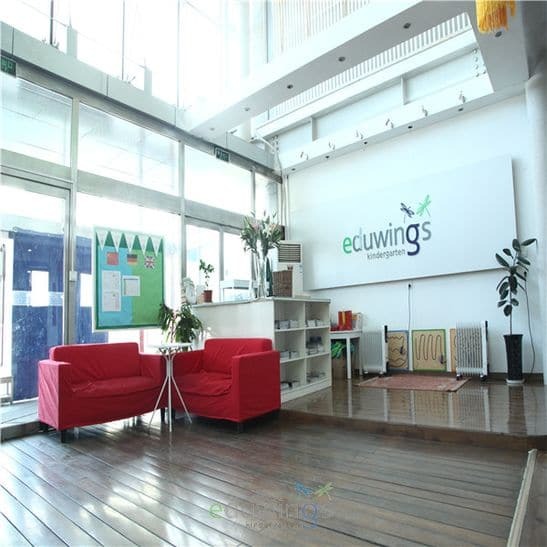 Our classrooms are mainly located on the second and third floor. We have a German and an English department and all function rooms are equally used by all our children. Our reception area is located near the entrance and a friendly member of our team, who can speak 3 languages, is there for you. Every morning before the children enter the building, we do a simple health check. We basically measure the temperature and check kids for obvious symptoms of common diseases. 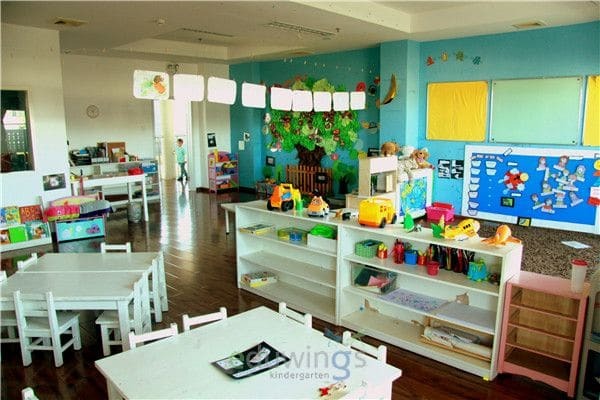 All classrooms have a surface of 60-80 sqm and are furnished and equipped to meet the needs of the different age groups. 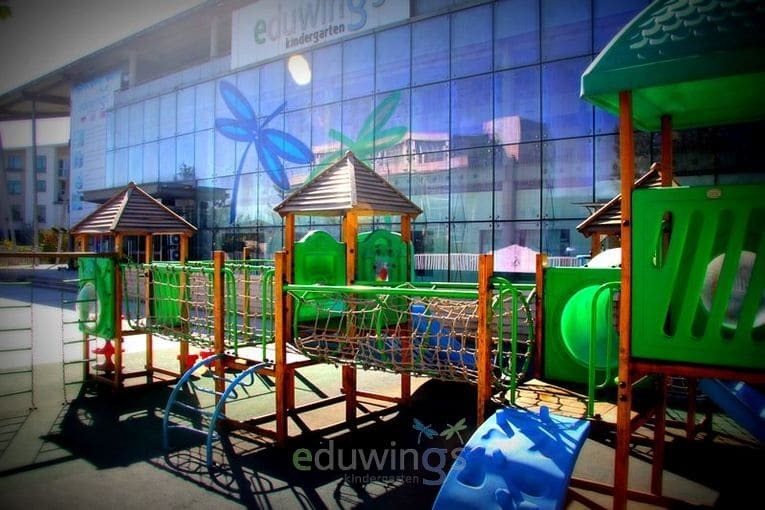 This includes themed play corners, areas for doing experiments and music, a reading corner, and art project area where teachers help the children to create their own individual project themed art. All classrooms have a connecting door to the next classroom. This allows us to work as a large group when the classrooms are fully open. Some classrooms will have a window connecting the classroom and the corridor, which will allow parents and visitors to observe a class. In our art studio we have many kinds of papers, cardboard materials, canvases and paint as well as various tools for trying out different techniques (scratching, spraying, shaping). 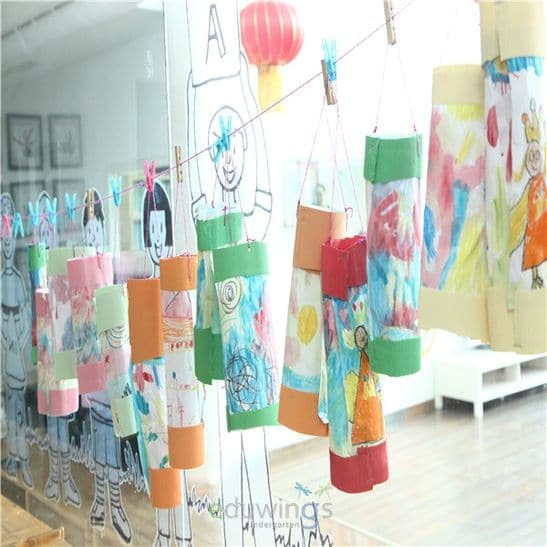 In this stimulating environment the children can let their imagination run free and be creative to their heart’s content. In our trilingual library we provide English, German and Chinese books. Our groups visit the library regularly during the free play time and during library time in the afternoon. The library is place where the children can relax in comfortable environment and learn to enjoy reading and take care of books. Cozy chairs and soft cushions invite the children to sit down and read books. In Dreamland we provide an area for our youngest children to sleep. They are able to take a nap after lunch so they can wake up refreshed to continue with fun activities in the afternoon. In our garden we have our own playground with many possibilities to climb, run, slide and hide. We have a sandbox and a lot of space to move around and drive bobby cars, scooters and tricycles. 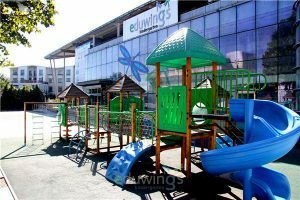 On the other side of our building there is another playground as well as the environment of our compound with small playgrounds, little lakes and a lot of space to have a walk and discover nature. We have a restaurant style kitchen. All dishes are freshly prepared and home-cooked by our chef to provide a varied and balanced diet for our children. All vegetables and fruits we use are sourced from local organic farms. 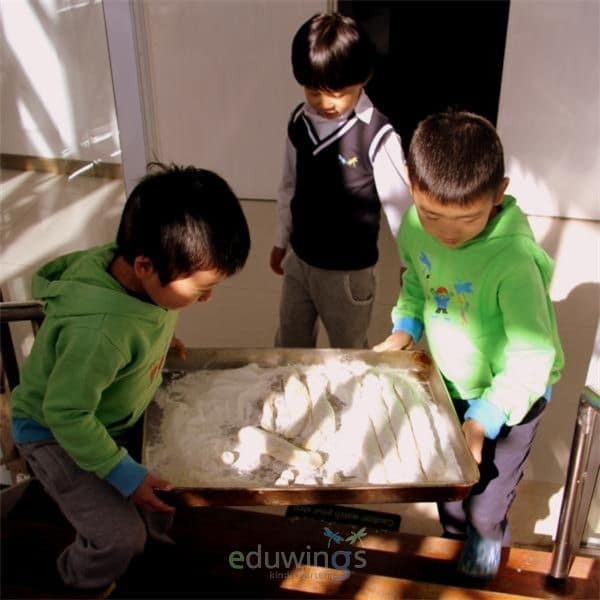 We have created our own kindergarten restaurant, away from their play and arts areas, where our children are able to eat their food in quiet, relaxed surroundings and are able to fully enjoy their meal. All restaurant tables are custom-made so that they have the perfect size for each age group. The children of each department will eat their meal together. This room is a multifunction room offering a large space for movement games and P.E. 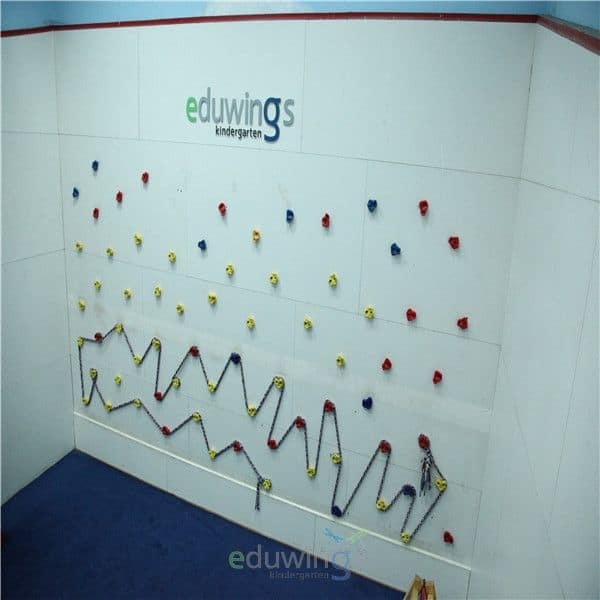 The climbing wall is one of the most popular areas in the P.E. room. It is custom-made for children and provides a challenge for both young and older climbing artists.